Unlike other family businesses where the company is handed over lock-stock-and-barrel to the next generation, Lance had the freedom to plot his own journey. The seeds of his own brand, which he decided to call Albero, were planted while still studying at Ateneo de Manila University. “The idea was actually a capstone project for a business strategy implementation course,” explained Lance. Even while still in the process of conceptualizing the brand, Lance and his classmates already decided on taking their project beyond the school as a start-up in the world of manufacturing. 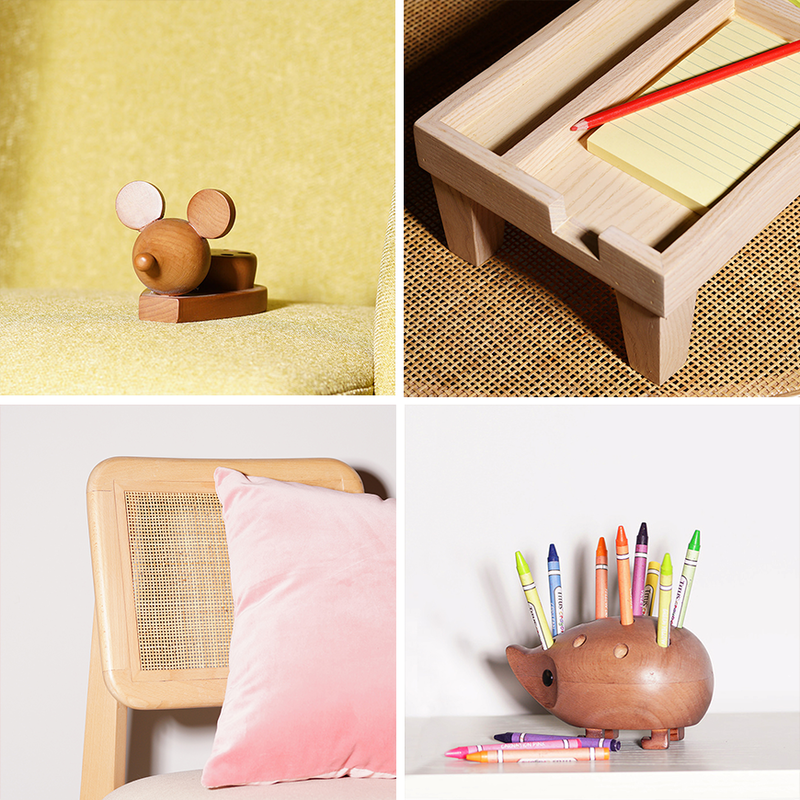 Clockwise from top left: Mouse pencil holder, wooden organizer, Maia The Pig pencil holder, kid’s chair with solihiya weaving. With the backing of his parents - who are behind one of Pampanga’s long-running furniture companies - Lance and his team launched Albero at Manila FAME October 2018. 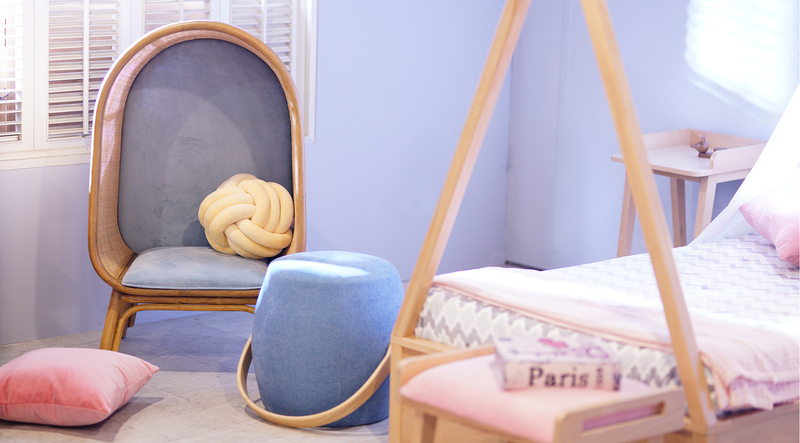 The brand showcased eight themed children’s rooms which reflected Albero’s identity as a resource for contemporary home furnishings and accessories for the junior market. “Albero’s design ethos centers on Scandinavian concepts with a Filipino touch, characterized by clean lines and fresh colors,” Lance said. The brand’s showcase exhibited Lance and his team’s thoughtful reimagination of a popular trend, tweaked and down-scaled for kids with grown-up tastes. Its austere lines, tempered colors blended with weavings and other handcraft details hark back to Albero’s clear-cut credo. Isabel Lim, VP for Marketing, and Lance Tan, CEO, at Albero’s showroom in Pampanga. Albero was conceptualized for a target junior audience with grown-up tastes.